WaterPROOFessional, your metal roofing installation experts, shares the brief history of tin roofs. Tin started as a roofing material back in the Roman era, which also coincided with the development of copper and lead roofing. These were produced by heating and hand-hammering the metal to a thin sheet. Tin proved the most malleable of the three metals, but copper was often the preferred choice for its attractiveness. Before the start of the 1800s, tin shingles began being imported to America from Wales, where tin was originally mined. Copper proved to be the more popular metal yet again, but some buildings during this time had strictly tin roofs. Of note was the Pennsylvania State House, now Independence Hall, which features a rather ornate tin roof. While tin roofs weren’t used in homes until after the Civil War, even back then it was a rarity due to the standing seam process that, at the time, was labor-intensive. It wasn’t until tin became available as shingles did tin residential roofing systems became commonplace as they were easy to install with nails. Tin roofs experienced a sharp increase in popularity with the development of tin alloys that created a unique, dull finish called terne. These roofs were often embossed with designs to make them more attractive, and they often interlocked with one another. Tin roofs declined in popularity as more affordable and practical roofing materials became more commonplace. These included asphalt shingles and treated wood, both of which had better aesthetic appeal than tin. Tin become less popular as higher-quality steel was developed for roofs and ultimately became a standard only for commercial properties. Eventually, roofs made completely of tin were completely gone in the market and became mere ornamentations or roof flares for more classic homes. Even in the commercial sector, their last holdout, tin was slowly replaced by stronger alloys, such as aluminum and steel. Tin, as a roofing material, left a noteworthy legacy. It paved the way for more advanced metal roofing systems. Even today, steel, aluminum and even copper roofs make use of tin coatings to increase their rust and general weather resistance. 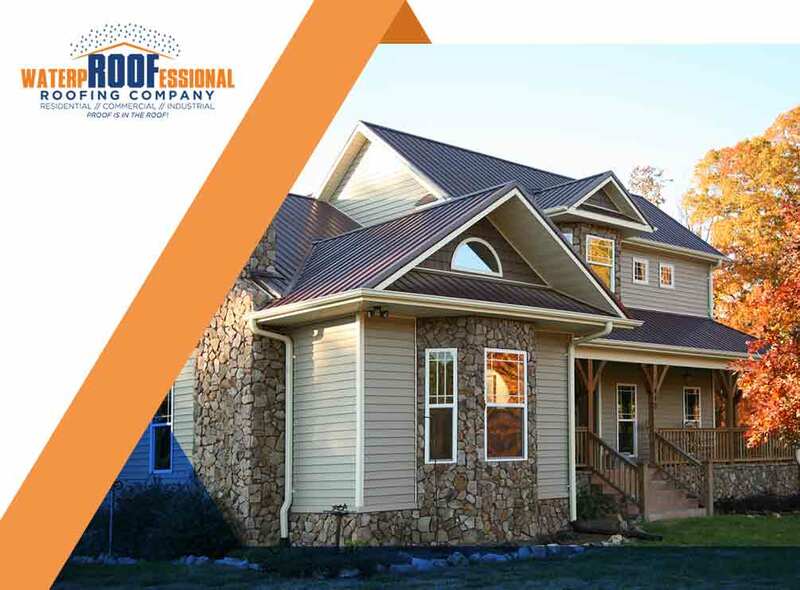 WaterPROOFessional is ready to assist you with your roofing needs. We offer installation, replacement and roofing repair services. Call us today at (217) 280-8331 to learn more about our services. We are metal roofing installation experts in Urbana, IL.